Cloudy with periods of rain. Low 58F. Winds SSE at 5 to 10 mph. Chance of rain 90%. Rainfall around a half an inch. 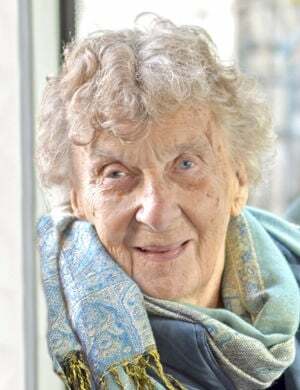 Gertrude A. Triller COHOES, N.Y. — Gertrude A. Triller, 92, passed away peacefully at her residence at the Eddy Village Green Bldg. 6 in Cohoes, NY, on April 16, 2019. Gertrude Agnes (O’ Leary) Triller was born in Boston, MA, to Mary (Devlin) and Cornelius O’Leary on Sept. 13, 1926. One of eight children, she is survived by her sister, Constance Conroy, of Pembroke, MA. Her deceased siblings include Eleanor Cronin (Spring Hill, FL), Jeanette O’Leary (Boston, MA), Marie O’Leary (Boston, MA), Virginia Redfern (Crooksville, OH), Robert O’Leary (Boston, MA) and Francis O’Leary (Boston, MA). She was also predeceased by her husband, Harley B. Triller. Growing up in Boston, Gertrude attended Prince Elementary School and Roslindale High School, from which she graduated at age 16. She graduated Teachers' College of the City of Boston (University of Massachusetts at Boston) where she received a Bachelor’s degree in Education and served as vice president of the class of 1947. After employment as an elementary school teacher in Boston, she went on a great adventure. She traveled by ship to Japan where she served as a recreational director with 8th Army Special Services during the Korean War. Here, she met her future husband, Harley Triller, who was serving in the U.S. Army. They married in Boston on Dec. 29, 1951, and proceeded to the next big adventure - beginning a family which would grow to be 12 children. After living briefly in Chicago and Providence, they resided in Loudonville, NY, then Clifton Park, NY, later settling in Proctor, VT. In the 1970s, Gertrude did coursework in Special Education at Russell Sage College, Troy, NY. She then worked with special needs children at O.D. Heck Developmental Center in Schenectady, NY, and later with the Head Start Program for children in Rutland, VT. She also taught at Sunshine Nursery School in Proctor, VT, in the early-1980s. Gertrude is survived by all of her children: Harley Triller (Annette), of Upper Chichester, PA; Kevin Triller, of Champlain, NY; Patricia Triller (Carlsbury Gonzalez), of Slingerlands, NY; Marie Triller (Michael Oakes), of Hopewell Junction, NY; Paul Triller (Mary), of Novi Sad, Serbia; David Triller (Kathleen), of Clifton Park, NY; Mark Triller (Janine), of Rutland, VT; Kathleen Silva, of Rutland, VT; Elizabeth Robinson (d. Jeff Robinson), of Bridgewater, VT; Maureen Triller, of Houston, TX; Darren Triller (Anne), of Clifton Park, NY; Kristen Triller (Christian O’Hara), of Richmond, VA. She is also survived by 28 grandchildren, 13 great-grandchildren, many nieces and nephews. A devout Catholic throughout her life, Gertrude was a communicant of St. Pius X Church in Loudonville, NY, St. Edward the Confessor Church in Clifton Park, NY, and St. Dominic’s Church in Proctor, VT. Gertrude loved life and lived fully every day. She enjoyed vacations on her beloved Cape Cod, as well as trips to NYC, watching figure skating competitions, studying Tai Chi, and traveling in Europe and Ireland with her husband and her family. She was a Right to Life advocate, a Red Sox fan and a Silver Slippers instructor. But the core of her life revolved around her husband, her children and their families. Gertrude’s family expresses their heartfelt thanks to the stellar staff of Eddy Village Green, who provided Gertrude with loving care since she took up residence there in 2014. They treated her like family, right up to the end. In addition, the Triller family extends their deep gratitude to the staff of The Community Hospice of Albany, who did a superb job of caring for Gertrude and supporting the family during her final weeks on this earth. Calling hours will be held on Thursday, April 18, from 4 to 7 p.m. at Clifford Funeral Home, 2 Washington St., Rutland, VT. A funeral Liturgy of the Word will be held at St. Dominic Catholic Church, 45 South St., Proctor, VT, at 10 a.m. on Friday, April 19. In lieu of flowers, please consider a memorial contribution to National Right to Life (www.nrlc.org), St. Labre Indian School (www.stlabre.org), or another charity of your choice. Visit www.cliffordfuneralhome.com for condolences and obituary information. I am so sorry for your loss. My thoughts and prayers go out to the Triller family. To all of Mrs. Triller's Family, my deepest sympathies for the loss of your mom. She was such a bright light! What a legacy she and Harley created. Wishing you all peace.